In anticipation of this week’s Women In Entertainment “Live Tweet” event, I decided to research the history of women in professional audio. The only person that came to mind was Missy Elliott whom I know makes her own beats and runs her own studio sessions. I couldn’t think of anyone else. 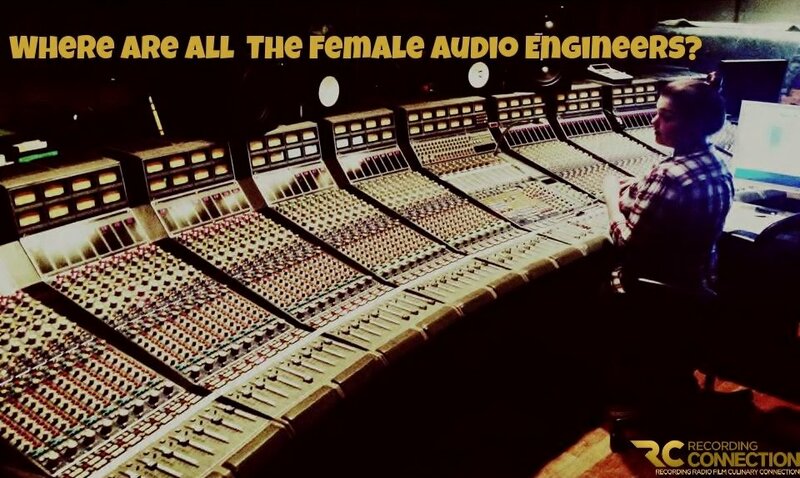 Where are all the female music producers? It wasn’t until 1998 that Trina Shoemaker became the first woman to win a Grammy for audio engineering. Even now, women still account for less than 5% of audio engineers and music producers working in the music industry today. The chairman of the UK Music Producer’s Guild admitted that he’s never even worked with a female audio engineer. Surprisingly, film, television, and Broadway boast higher numbers of female audio professionals than pop music. How can this serious under representation exist in an era of chart dominating tour-de-forces like Taylor Swift, Mariah Carey, and Beyoncé? Women in audio today testify that a thick skin and a willingness to penetrate the “boys club” is a necessity for those who want to work in the field. Nevertheless, most female audio engineers say that simple sexisim isn’t the main reason for their under-representation; most cite family planning as the main impediment. “Having a baby was a big deal, a game changer,” said Shoemaker in a 2012 BBC article. Despite the challenges, women are entering the field in ever-increasing numbers and some hope to see a level playing field within the next 20 years. This optimism comes in part because of early trailblazers and the creation of private learning institutions and mentorship programs like The Recording Connection. The one-on-one learning environment allows budding audio engineers to practice in a safe and affirming environment regardless of gender. Organizations and events like Arclights’ Women In Entertainment Summit and Soundgirls.org are also smoothing the path by providing networking opportunities and community resources for women in the entertainment industry. Here’s to all the Women In Entertainment! 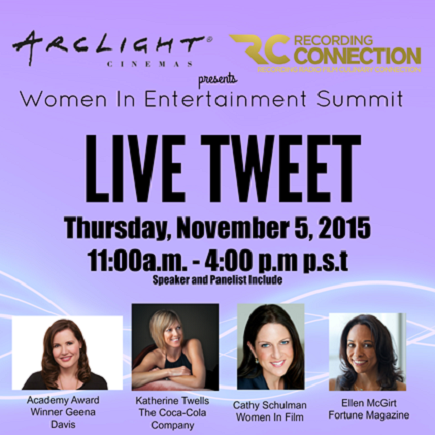 Also, don’t forget to make sure you follow us on twitter and other social media this Thursday, November 5th as we live-tweet from Arclight Cinemas’ Women In Entertainment Event in Hollywood, CA.